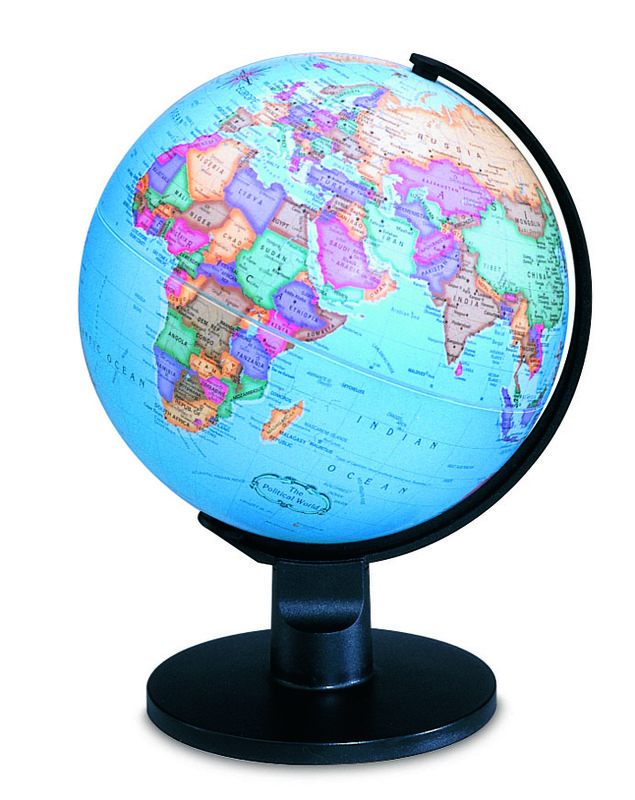 Blurring the line between globe and furniture accessory. 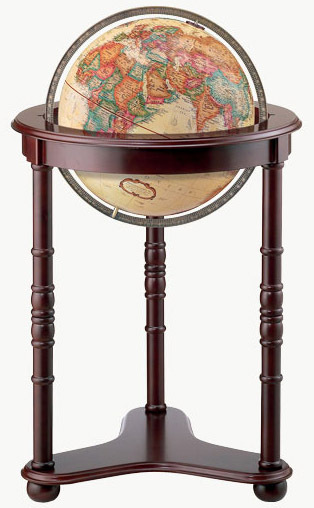 The hardwood base with dark cherry finish enhances the vibrant colours of this antique-ocean globe with metal die-cast meridian. 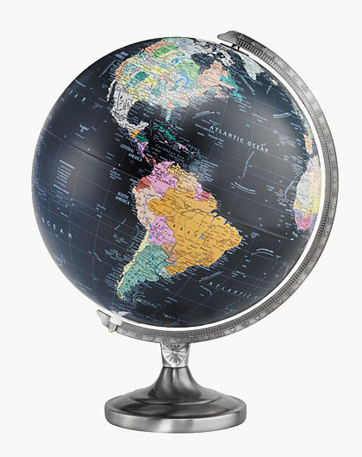 This globe lends richness to its surroundings.